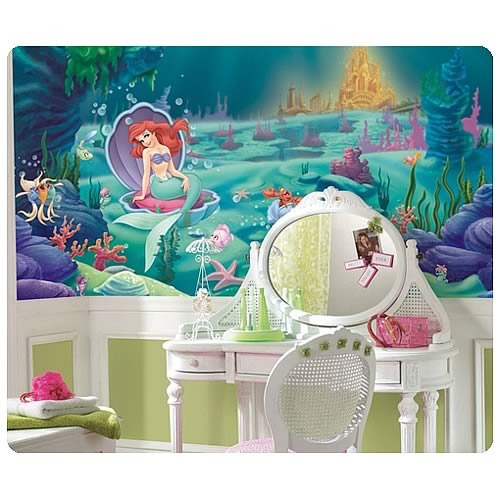 Add Ariel and her under the sea world to any room! The charming story of Disney's The Little Mermaid can now be brought right to your walls with this XL wall mural. Featuring Arial and all her undersea friends, this mural is a wonderful choice for little girls who would love an "under the sea" theme in their rooms. Applying is a breeze: just dip each prepasted strip in warm water, then bring it to the wall. There's no easier way to decorate with The Little Mermaid!